Back-to-school tax holidays: They’re tempting, and they’re worthless. 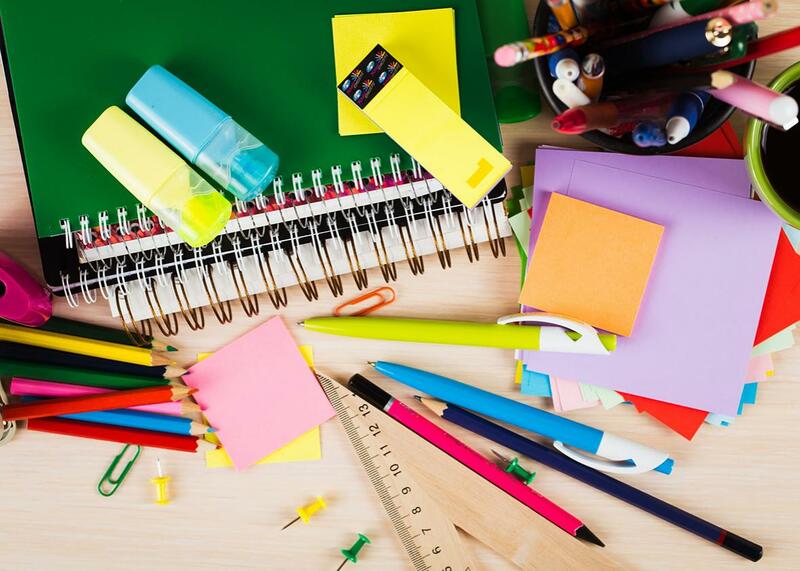 Just buy school supplies when stores have good sales. It’s back-to-school shopping season, and you know what that means: a chance to do some tax-free shopping, picking up No. 2 pencils and new fall clothes at bargain prices. These sort of promotions play to everything from our desire for a bargain to our hatred of taxes, not to mention our unwillingness to let someone else get a deal while we pay more money for an item just a few days later. So go shopping if you want. But before you do, know this: Tax holidays aren’t nearly as good a deal as you think—to say the least. The affected sales taxes range from 4 percent to 7 percent, and that doesn’t count city and county add-ons. Still, we all hate taxes, so we fall for it. But that’s the least of it. Retailers are onto the fact that the tax discounts—and all the media hoopla surrounding them—bring people into their stores. The result? Prices sometimes go up during tax holidays. Researchers at the University of Western Florida found clothing prices increased during the state’s 2001 tax holiday, costing consumers about one-fifth of the savings they would have received if the cost had remained the same. A few years later, a television reporter in North Carolina took another look. His findings were even worse for shoppers. He discovered many retailers were timing back-to-school promotions so that they ended before the tax-free weekends. Others ended sales midway through the state promotions. Consumers who skipped the store-sponsored sales in favor of the state tax breaks lost out. One store, for example, was offering all shoppers a 15 percent discount on home goods mere days before the tax holiday. State and municipal sales taxes came to about half that amount, depending on where shoppers were making their purchases. You can do the math. In addition, while many politicians like to claim tax holidays are boosting retail sales, analysts say it’s much more likely that they are simply shifting them. It’s not, after all, like someone will go off and decide to make their back-to-school buys only because of a sales tax holiday. It is, however, quite possible they will wait to do it. This issue goes back to the very beginning. In the U.S., the era of the modern tax holiday originates in New York, where local retailers and politicians were getting tired of seeing bargain-hunting clothes shoppers head over to New Jersey when they wanted or needed to buy some threads. The problem was basic. New York’s sales tax on clothing was 4 percent. New York City then added another 4 percent. Then the state’s transportation authority added a quarter of a percent. But New Jersey didn’t charge an apparel tax at all. The result? A nearby mall in Jersey City claimed a quarter of its customers came from New York, according to a 1997 report in the New York Times. That year, New York attempted to do something about it. For a week in January, after the post-Christmas sales rush had passed, the state offered a tax holiday on clothing costing less than $500. The media covered the event like it was Black Friday. “Shoppers are crowding the stores to grab it while they can,” cheered the Associated Press. New York City officials claimed large increases in sales because of the tax break. But a subsequent look at sales and revenue data collected by the state demonstrated little overall gain. Instead, the event depressed sales in the surrounding weeks. In other words, many shoppers simply timed planned purchases to coincide with the event. But the rush was on. In 1998, Florida joined in. The next year, Texas. Soon more than a dozen. As the years passed, the rationale for offering a tax holiday varied. According to Adam Cole, an economist who wrote a Ph.D. thesis on the subject of tax holidays, the original motivation was either like New York’s—an attempt to grab business from a neighboring state—or an attempt by states, flush with revenue thanks to the dot-com–boom economy, to spread the wealth a bit. It was only after the stock market bubble crashed in 2000 that helping cash-strapped consumers became a prime motivator for retail tax holidays. South Carolina was the first state to promote the break as a benefit to parents of schoolchildren, using that as the justification for its first tax holiday in 2000. Who, after all, doesn’t want to help schoolchildren? Others immediately copied the strategy. “During these tough economic times, having a break from the 6 percent sales tax on shoes and clothing can make a real difference for families,” Maryland Comptroller Peter Franchot claimed recently. Except, of course, you’re not helping schoolchildren or making a difference for families. Not at all. If shoppers are simply shifting their spending to save on taxes, that means the states are losing revenue. That’s certainly the position of the Institute on Taxation and Economic Policy, a nonpartisan think tank that estimates the popular break will cost the states offering it $300 million this year. “Revenues lost through sales tax holidays will ultimately have to be made up somewhere else, either through painful spending cuts or increasing other taxes,” it noted in a recent report. What a deal!